The off-kilter lampshade in the corner of Winsome Dormer’s Lyttelton office reminds her how lucky she is. 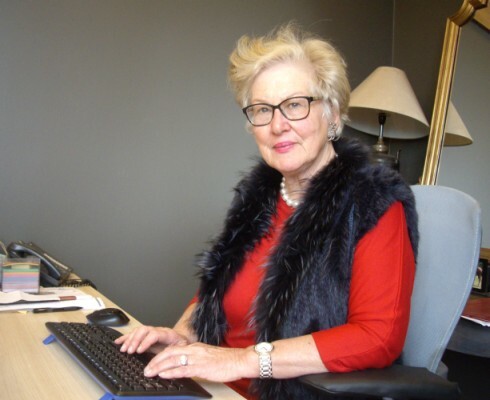 When load-bearing ceiling beams destroyed her desk during Christchurch's February 2011 earthquake, Poland’s New Zealand Honorary Consul, South Island, was on an aeroplane. The office is now a tight squeeze with her secretary but Winsome is an optimistic Cantabrian. She has a job to do, and no time to dwell on re-build lethargy. Her office is in the hub of Lyttelton’s logging port. Laden trucks rumble past her window, a reminder of her core business—supplying the ships that use the port. On her wall is a close-up photograph of a pile of logs waiting to be loaded, a pile so high that the docked ships behind are hardly visible. The ships—from Gdynia, Poland— are part of the reason this Tepanui-born West Otago woman accepted the position of Polish Honorary Consul, South Island. Winsome was doing a degree in speech therapy when a professor noted she had a head for business. She launched the Independent Provedoring Company in the 1980s and made New Zealand attractive enough for the fishing vessels' Polish parent company to add New Zealand to their schedule. By the 1990s she had introduced Poles to New Zealand wine, and had become a go-to person for newly-arrived Poles like Dorota Szymanska. Winsome helped Dorota find a job in 1991, and gained her first Polish friend. Six years into the role, Winsome has continued to do what she does best—link people with other people and business opportunities. Considering what Poland's Honorary Consul, South Island, has already achieved, who knows how she defines “big”?